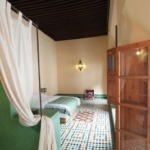 Groud floor: salon of 20sqm, kitchen, salon open onto courtyard. bathroom, 2 rooms 25sqm with bathroom on the terrace. 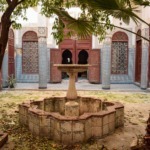 Courtyard: 90sqm with large fountain and trees. Terrace: Terrace 90sqm with panoramic view.